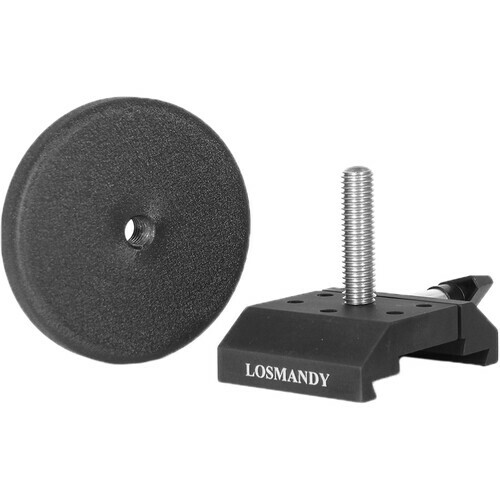 Properly balance heavier observation rigs on your G-11 or HGM 200 mount with Losmandy's DVDWS 2.5 lb Counterweight System. The base is compatible with their larger D-series and smaller V-series plates and comes outfitted with a 2" long threaded rod that matches the threads on the 2.5 lb weight's bore-hole, allowing you to precisely balance the load by turning the weight one way, or the other. Box Dimensions (LxWxH) 6.35 x 4.7 x 4.45"